Our date night mentality has changed a bit after having a little one. The Pilot used to ask me if I wanted to go out to eat or see a movie and sometimes we’d be too tired and end up chilling at the house, and other times, we might spend part of dinner on our cell phones. Now, since date nights are more rare, we live them up pretty fiercely. We put on real clothes -aka no more lulu out to dinner for this girl. Last night I even painted my nails before leaving- and we put all technology aside to fully enjoy each other’s company. I left the camera at home and didn’t take any meal pics, but we had incredible chicken dishes (spicy for me, medium for the mister), saffron rice, and I had a lovely glass of Malbec. It was glorious. 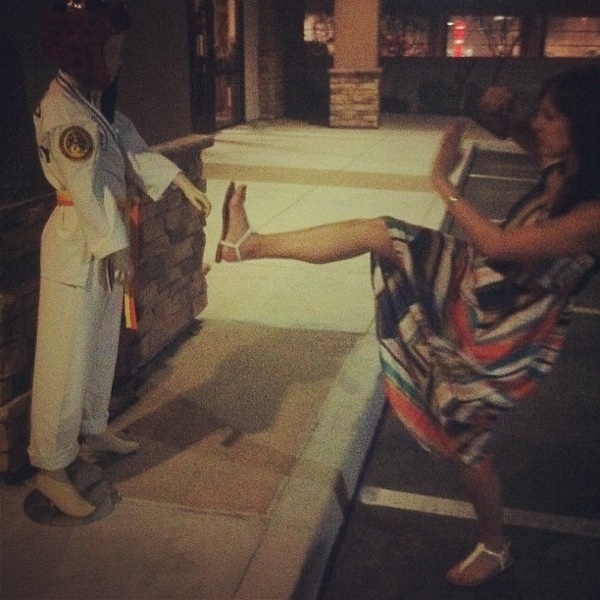 find a karate kid statue and take ninja pictures with it. Obviously. that, my friends, is what legends are made of. Hahah. I would do anything to be able to make REAL Indian food (Sana, come teach me the ways!) but for now, I’ll just throw some turmeric, curry powder and garam masala and call it good. And it was actually very, very good. In a food processor, add 1/2 of the chickpeas, oil and the spices. Puree until you have a hummus-type mixture. Pulse in the onion and tomatoes until well-chopped. In a bowl, stir in the remaining ingredients and place the mixture in the fridge to chill for about 10 minutes. Divide into 4 servings and shape into patties. Cook the patties in a skillet (I used some olive oil) on medium heat for 4-6 minutes per side. Time to get in a little PM workout! Who’s joining me for the Shape Up circuit? Don’t forget to check in! <3 <3 cooking with tumeric it's soo good for you! Mmmm those cakes look delish! Kind of like a falafel variation! 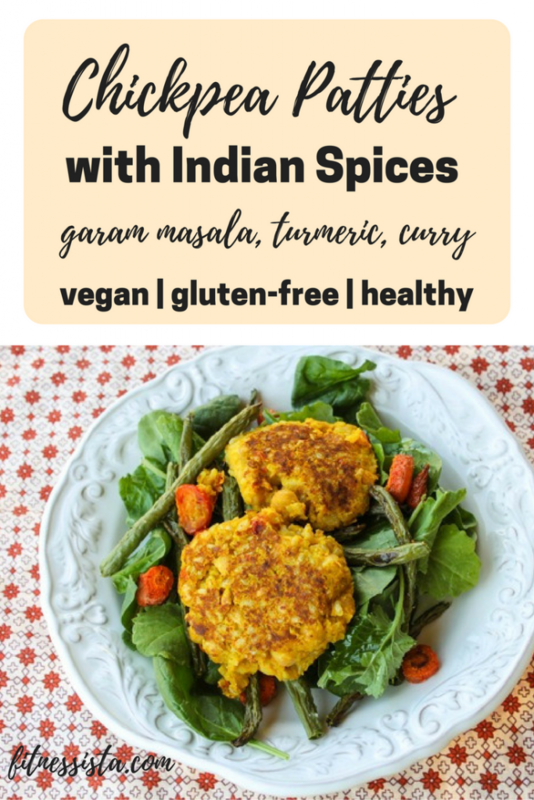 I am a sucker for indian spiced dishes so I know those would taste amazing. Oooh, this sounds delicious! Definitely bookmarking this recipe. Thanks for sharing! love the ninja pics! haha 🙂 and especially love your dress! Those pictures are hilarious!! 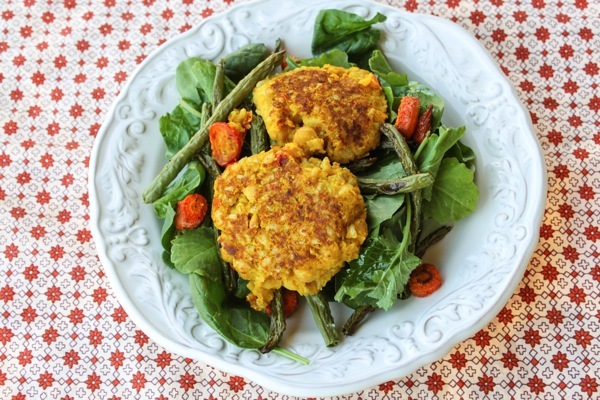 Love these chickpea cakes. I will definitely be making them soon! Such a cute date night! I love that you guys go out, look great, and have fun! I once cooked with a wonderful cook visiting from mumbai, she taught me the technique of taking the indian spices of the recipe ans first frying in a teaspoon of oil to fully release the flavor bf proceeding with the rest of the recipe (do this with any recipe!) the spices “bloom” and release soooo much more flavor! hahahahha oh my gosh I actually laughed out loud at the Pilot’s picture….so priceless!! and that dish looks amazing…love the colors! thanks for sharing! 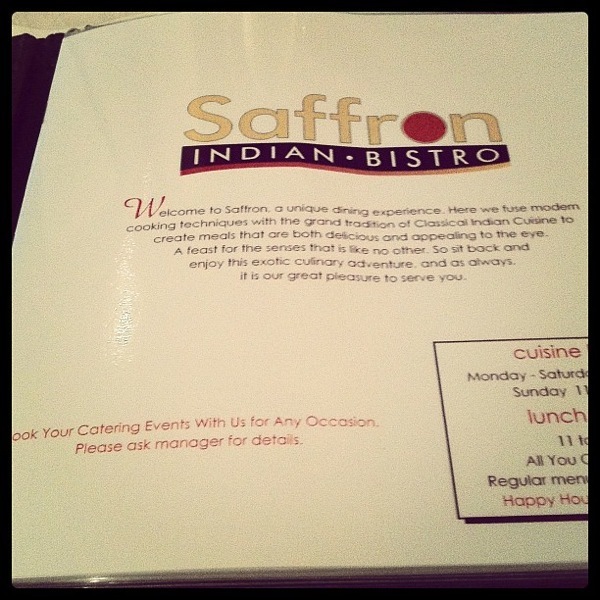 Indian food is a type that I have never really tried but always heard so many good things about!!! 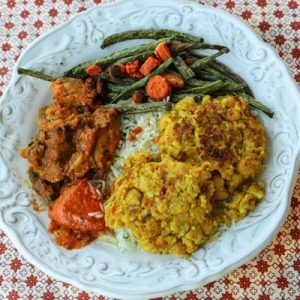 What are your favorite types of Indian dishes, and are they healthy? Thanks! 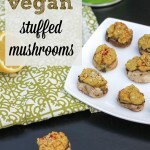 Those chickpea cakes look amazing! So great you guys get out for date nights! haha, oh I love those pictures of you two out! too fun! I’ve never had Indian food before, but recently I’ve been curious about what it tastes like. Neither of my parents like it and almost none of my friend like it (or like me they haven’t tried it) so I’m kind of weary to try it. I figure I’ll give it a go eventually. I’ll try anything once. Love date nights 🙂 We make dinner time a tech-free, wi-fi free zone. Well we try to anyway. I would imagine it is harder when you have a baby-on-call. I’m thinking i may give these chick-pea cakes a try, but serve them with some homemade wholemeal naan bread in place of the rice.. Thanks for the recipe! 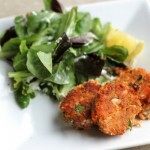 Also, these chickpea cakes look amazing. As soon as I get tested for my allergy to curry (I’ve gotten a rash/swollen lips from it twice this year!) and figure out what spice I’m allergic to, I’m going to make these! I finished my third workout of the week around 6 15 AM. 45 min of steady state (running) MW, 20 min HIIT + workout 1 yesterday. I must say… Workout 1 is a sneaky little thing! I workout regularly so while it didn’t look intimidating, my buns are burning today! 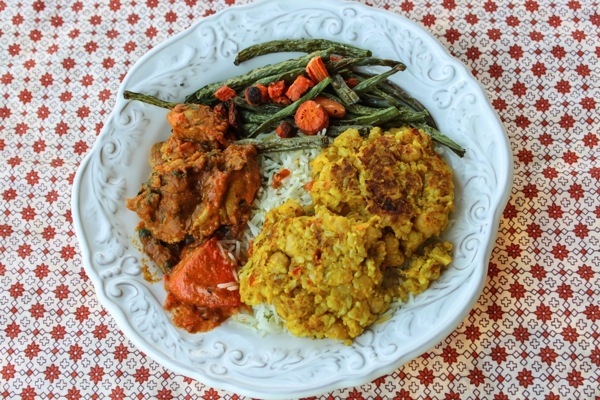 I love indian food an these chickpea cake look delicious and authentic! Oooh those sound great! I have almost all of the ingredients. I am going to sub the tomatoes for red pepper though so I don’t have to go to the store. I’m guilty of going to the grocery store roughly 5x/week so I’m trying to do a big trip and then make do with what I have. 🙂 Thanks for the recipe! hehe- that date night is too cute! Y-uuum! And I have almost everything for that on hand! Woohoo!! Hey, I know that martial arts uniform! I think it’s an American Taekwondo Association uniform! My husband owns an ATA school in Massachusetts. Small world! Sign Olivia up when she’s old enough! They have a great kid’s program! These patties look like a great idea! 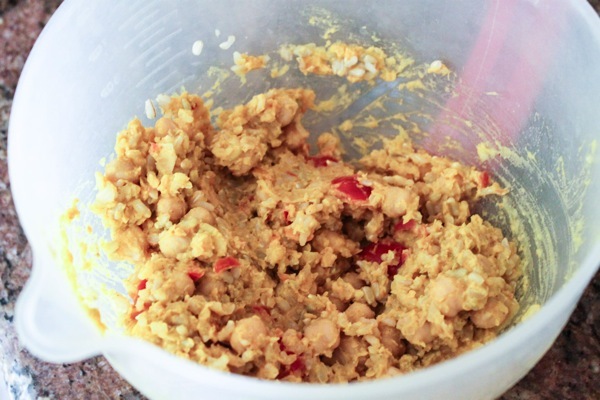 I never thought about making a patty out of chickpeas! 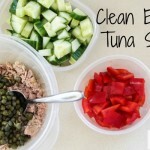 What program do you use to get the nutrition stats? Thanks! Love the ninja photos. That sounds like something my husband would find hilarious too. I am all over that chickpea recipe. May have to make those this week since I already have most of the ingredients. 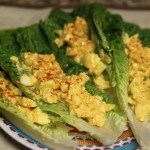 Does the chickpea bind everything together well or should I add egg? 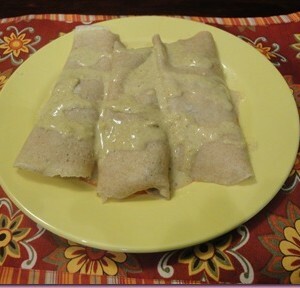 oh man..we (and when i say we, i really mean my husband) made these last night for dinner, and they were AMAZING!!! Thanks so much, we love chickpeas and are always trying to find new ways to make them into a meal. I made these last night and we loved them. I served them over Ina Garten’s sauteed spinach w/ garlic – great combo. These are definitely going into the rotation! Gina, I’ve made these twice now, and they taste divine! Especially with a squeeze of lemon. BUT mine don’t want to stick together? Do you think it would it help if I blended the whole amount of chickpeas, instead of adding half the quantity whole? Or would throwing an egg in there be too weird? hmmm, yeah try blended almost all the chickpeas and see if that helps! Those pics of you guys fighting that statue were hilarious! Thanks for the laugh!